This is a photo from 1975. This school, built in 1872, was converted into a factory in 1906. I don't know when it was demolished, perhaps when the Pride gas station was built. This school was built in 1901, but by 1936, due to declining enrollment, it had been vacated as a school and turned into the offices for the city's welfare department. In 1940 it was turned into the South End Community Center. In 1977 the building was demolished and the Joseph P. Gentile Apartments, managed by the Springfield Housing Authority, were built in its place. This school was built in 1896, and has been renovated into elderly housing. Built in 1894, it is no longer standing. It was closed in 1978 and demolished in 1999 after being neglected and abandoned by the city for over 20 years. This school was an ungraded school, meaning that children of all ages were mixed together. It was used from 1899, when it was built, until the 1920's, when it was replaced in the neighborhood by the Bailet school. It was converted into the Pine Point Library and stood until 1970, when it burned down in a case of arson. Dry Bridge School was an ungraded school built in 1881. It was listed as being only heated by a stove in the 1901 City Report. Built in 1868, this is still standing, having been converted into apartments. It is at the corner of Worcester and Myrtle Street in Indian Orchard. This school was being phased out in 1900. 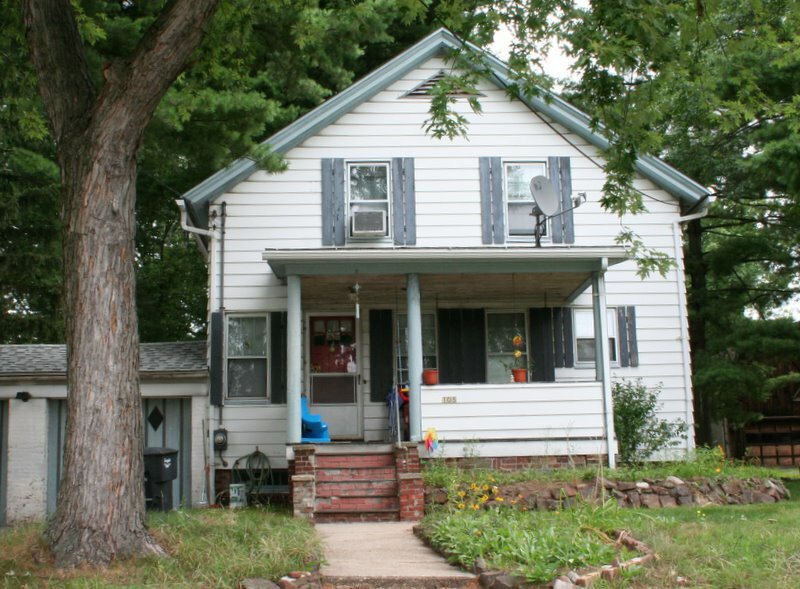 It was listed as having just four rooms, no other information is available about it. The photo is from 1892's Picturesque Hampden. The Pynchon School was built in 1891, and was situated right around where East Columbus Avenue runs today. The 1910 city atlas suggests that it was used as a temporary municipal office building while the Municipal Group was under construction following the fire at the old city hall. 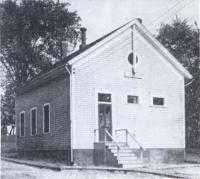 In 1946 it was listed as an annex of the Homer Street School. This was a mixed-grade schoolhouse, built in 1888, situated at the corner of Springfield and Armory Streets. Armory Street has since been slightly reconfigured. I don't know when it was demolished.